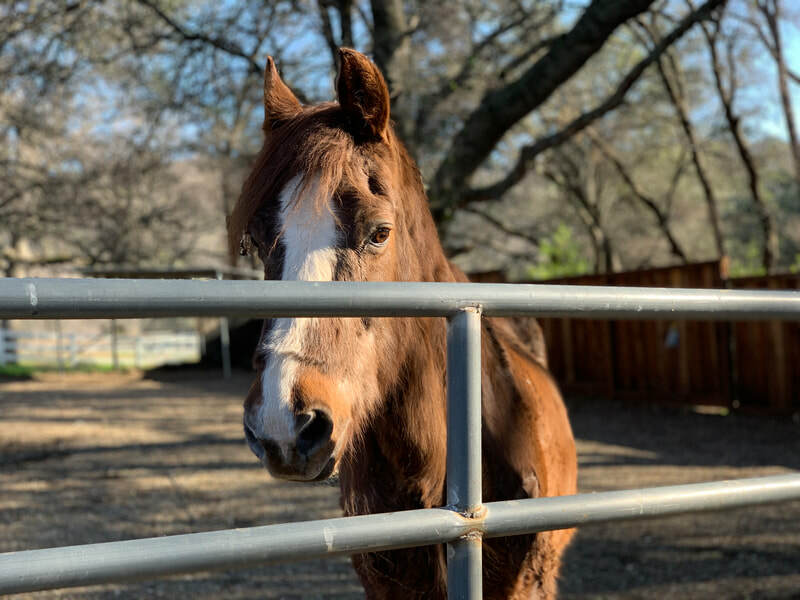 Scotty is one of a bonded trio (Always, Rustic, and Scotty) that came in to AAE in January 2019. His owners were downsizing and relocating out of state due to family health issues. AAE is looking to rehome this group together. 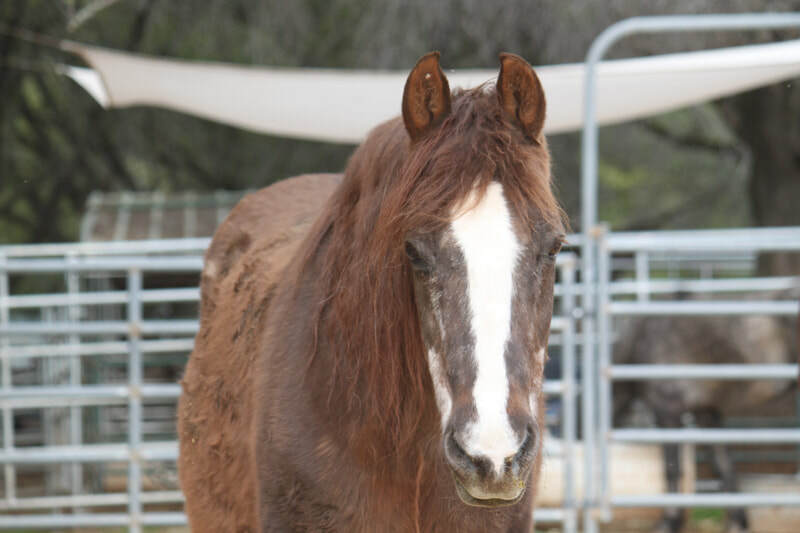 According to prior owners, Scotty was used for both English and Western riding and on trails. He hasn't been ridden for at least a few years; however, prior owner indicates she has had no health or soundness issues, he's just out of shape. Scotty is a very nice guy, very easy-going and mild mannered, but takes a few minutes to be confident with new people. He enjoys grooming and attention, and so far, he's willing to do what's asked. He is good with handling his hooves and with farrier; however, he does best when hooves are held low and beneath his body. One hind side is more forgiving than the other. He seems to have some mild hind end weakness. He loaded readily when picked up for transport to AAE. Scotty was tested for Cushing's, and results showed he was at the high end of normal. He was started on 1/2 tab of Pergolide daily. He is also on an all pellet diet. 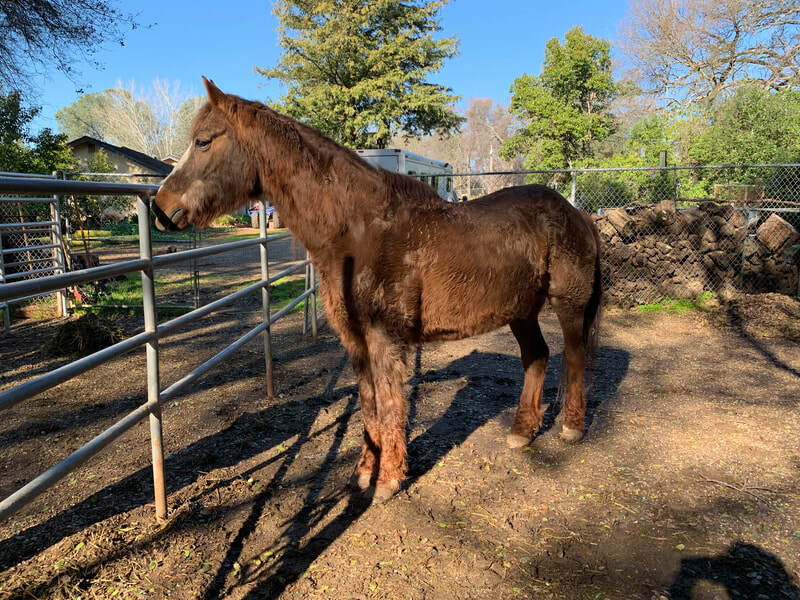 Scotty's dental care, hoof care, vaccines, and deworming have been updated, and he has a microchip in place. 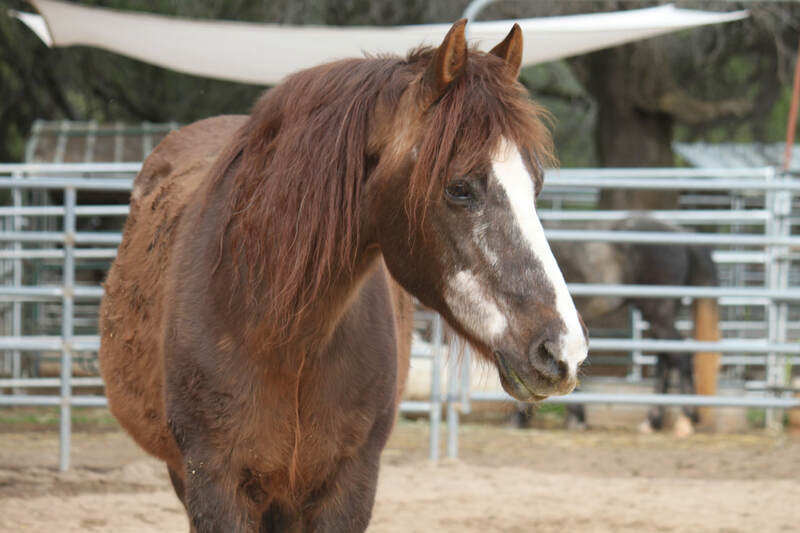 Reminder, Sc0tty is one of a bonded trio (Always, Rustic, and Scotty), and AAE is looking to rehome this group together. 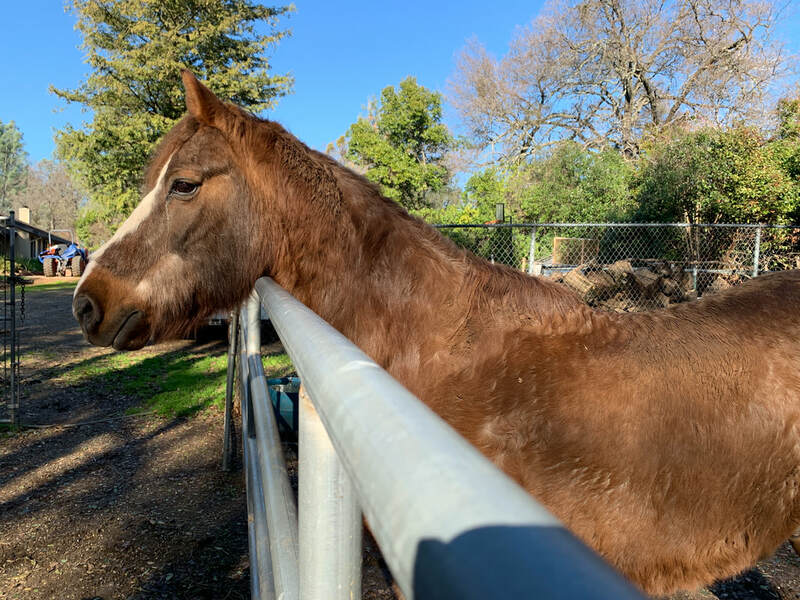 Scotty is a senior horse with hind end weakness and hasn't been ridden for an extended period; he is being adopted as a companion. 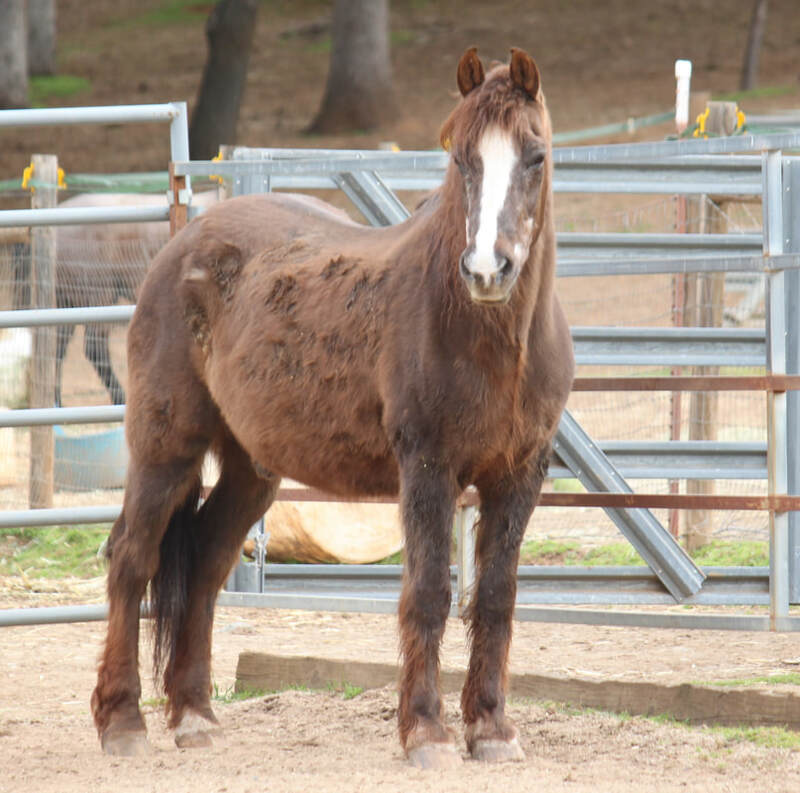 Do not consider adopting Scotty if you need a rideable horse.